This chapter of the discussion guide provides local and national contexts and perspectives, an overview of the foreclosure crisis, in-depth conversations to broaden the conversation, and includes thoughtful discussion questions. Here are resources you can use to engage with this chapter. It’s actually about each and every one of us trying to collectively come together to make the change which we want to see. And if we don’t all win, we gonna lose. A Divided City is a deeper examination of the historic and intentional racial and economic divide of Cleveland, the loss of Black wealth and homeownership, the communal trauma that accompanies the loss, and finally, the courage of those who are dedicated to revitalizing and healing. Pick up your copy of the discussion guide to learn more. Read through Cuyahoga Placematters: History Matters Report, a policy brief that establishes the historical, fact-based, data-informed context for how housing, real estate and planning policies disadvantaged minority and immigrant groups in realizing critical life opportunities, by limiting people’s opportunities to live in communities of their choice, and by denying equitable access to mortgage loans. 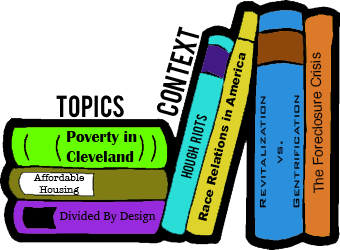 Visit the IdeaStream website for the Divided by Design Series which looks at some of the crucial policies and practices that created such a black-white divide in the Cleveland region—and which continue to perpetuate racial inequities—in an attempt to bring important historical realities to light so that we may choose a different future. Visit The Real Deal, a blog that provides regular reporting and commentary from the inner rings of Cuyahoga County, Ohio. Read The Nation’s Can Neighborhoods Be Revitalized Without Gentrifying Them? Visit Right To The City Alliance (RTC) which emerged in 2007 as a unified response to gentrification and a call to halt the displacement of low-income people, people of color, marginalized LGBTQ communities, and youths of color from their historic urban neighborhoods. RTC is a national alliance of racial, economic and environmental justice organizations. 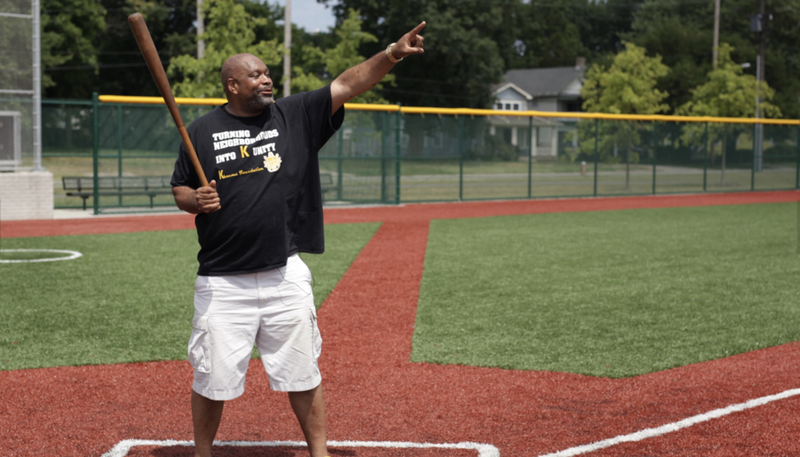 Visit and read about TheNationalHousingLawProject(NHLP), their mission is to advance housing justice for poor people and communities. NHLP achieves this by strengthening and enforcing the rights of tenants, increasing housing opportunities for underserved communities, and preserving and expanding the nation’s supply of safe and affordable homes.